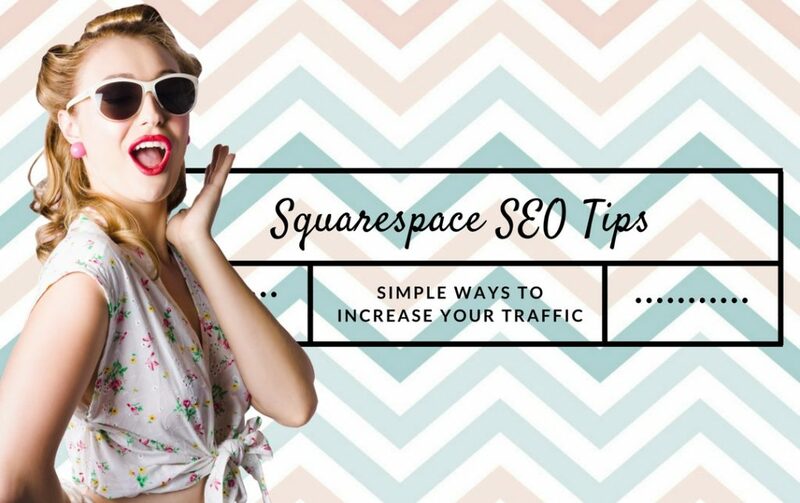 Part 1 of our Squarespace SEO series, in this post are going to share the best Squarespace SEO tips that you just can’t afford to ignore! 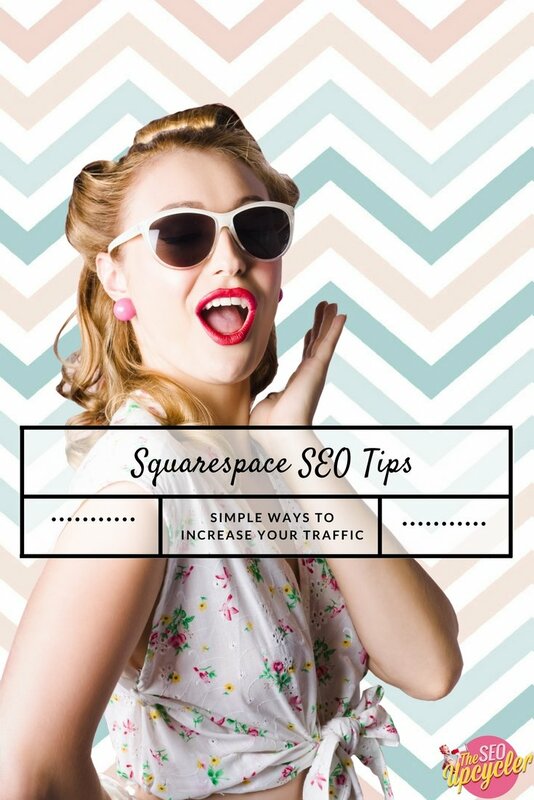 Squarespace SEO tips has become one of my most common email requests lately for people looking for answers and help when it comes to tackling SEO for their squarespace website. Squarespace SEO? Good or Bad? While I will admit that when squarespace first started out I wasn’t impressed with it’s SEO tools. They were clunky and the sites themselves were not always the most SEO friendly in terms of what Google are looking to see. However as time has gone on they have started to get their SEO act together, the still have a way to go for now however they improved enough which means that you can certainly expect to gain some SEO traction now with SEO for your Squarespace site. 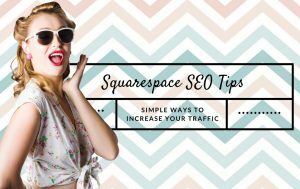 So lets dive into some Squarespace SEO Tips that will help you kick your SEO up a notch and start doubling and tripling the traffic to your website! Keywords are keywords regardless of the platform you use to build your website. So keyword research will still be vital. 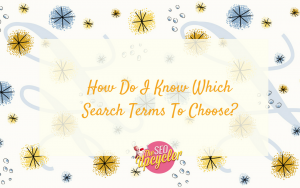 Keyword research should be at the forefront of your campaign before you dive into your content, before you start to build links. Ideally you should have your keywords before you even design and build your site, they are integral to it. So essentially Google Is Forcing You to Switch to HTTPS by October or you will lose rankings. Don’t just focus on keywords for the pages, create a list of blogging keywords to allow you to map out content that can rank throughout the year. 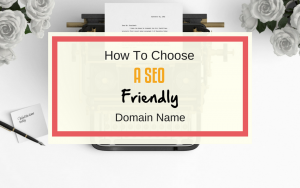 To do this go to Settings – SEO, then Search Engine Description.’ and add a little of what you do and what you can offer people then go into settings and add a site description, keep them similar but not identical and don’t forget to include your keywords. This is not only a great way to sell to your customers but it’s vital in telling Google what your site is all about. One of the most important Squarespace SEO Tips that I can give you it to ensure you properly SEO the admin area of your squarespace website, the onsite SEO. 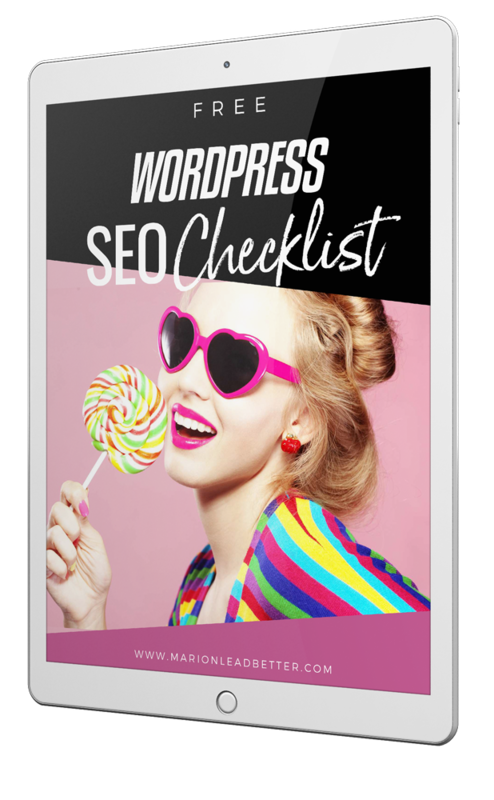 Squarespace isn’t as easy to carry out onsite SEO as wordpress is but that doesn’t mean it can’t be done.. 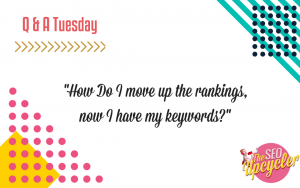 It can and this means using your keywords on your page titles, in your descriptions, in your content and where possible in your URL. Make sure your meta descriptions are correctly filled out. Take every opportunity to tell Google what your site is about and what you want to rank your website for. Page speed is a huge factor when it comes to SEO so make sure your site loads as quickly as it can. Keep images as small as possible and remove any old pages etc your site no longer uses to keep your site streamlined. This is all about site security, Google will now give preference to websites that use HTTPS over HTTP. Therefore make sure you use Squarespace’s SSL option to ensure your site is HTTPS ready. This is something all business owners should do regardless of what platform they use for their website. Not only does it get you registered with Google it lets you properly track how well your site is doing in the search engines. You can see what works and what doesn’t and then adjust accordingly. 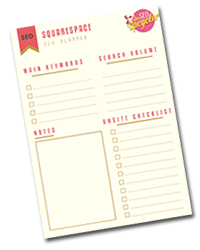 Enter Your Details Below To Access The "Squarespace SEO Planner"
TO HELP ENSURE YOU DON’T MISS A STEP WHEN IT COMES TO CARRYING OUT SEO FOR YOUR SQUARESPACE SITE. So would this tips work on any site? I have my wordpress site about to launch would these work for that as well? Im considering switching to squarespace for my SEO, I currently use wordpress but we are considering switching as have heard squarespace is easier, would you say that was correct?